Is a using a VPN legal? It’s a legitimate question and the answer is not a simple yes or no. 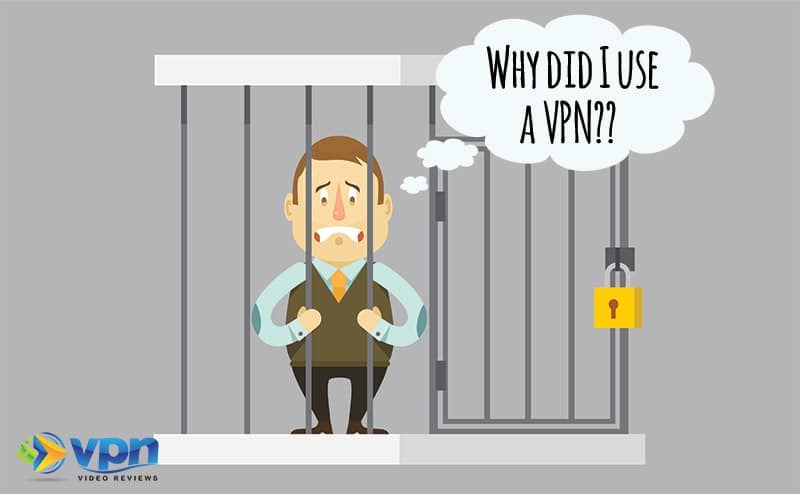 In most cases it is perfectly legal for you to use a VPN to access the internet, but there are some cases where the activity you engage in or the country where you connect could make using a VPN illegal. Here’s how you can know for sure. It’s crazy to consider that over the past couple years, a number of countries have begun passing laws banning Virtual Private Networks (VPNs). China has even started fining its citizens who are caught using a VPN. It makes sense why many people question whether a VPN is legal or illegal. Add to that the idea that VPNs are specifically designed to mask your Internet activity and are developed by companies strategically located beyond the jurisdiction of any major superpower and, well…you begin to see the full picture. The question isn’t about the integrity of VPN services; the question is in what cases is a VPN illegal to use? 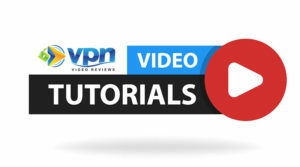 Before you continue reading, check out this video for a quick overview on the topic of whether or not a VPN is legal to use. 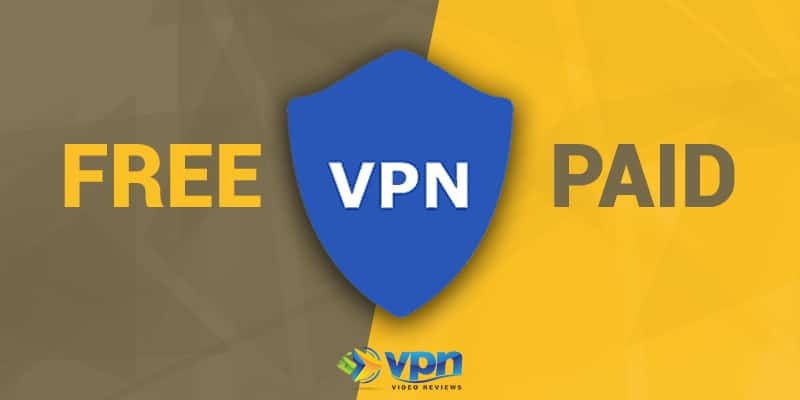 With a quality VPN (see our list of the best VPNs on the market today), you are able to mask your IP address, shield yourself from the prying eyes of 3rd Parties, and access geo-restricted content such as Netflix in China. 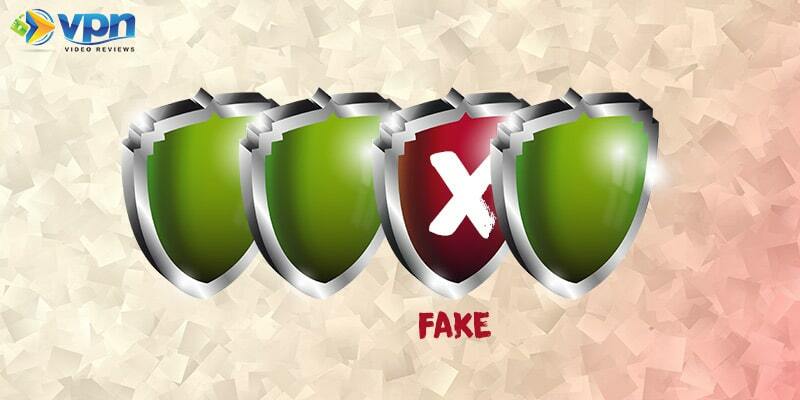 Distributing internet viruses: Hiding yourself while trying to infect other networks with a virus is an obvious no-no. Please don’t do that. 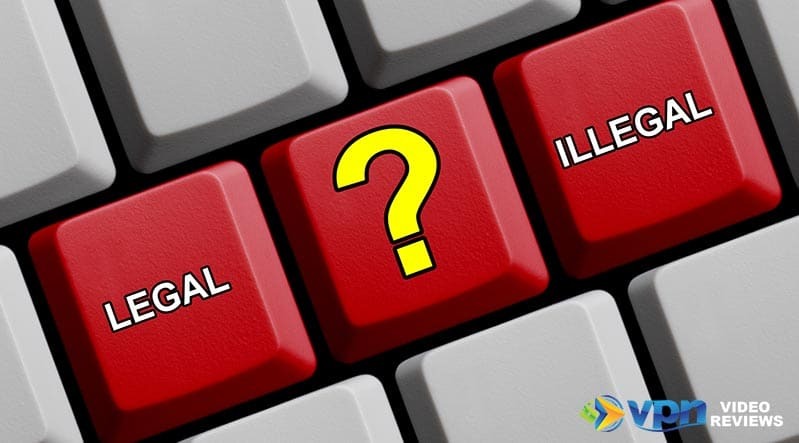 Gaining illegal access to other computers or networks: Again, a bit obvious, but it needs to be stated. 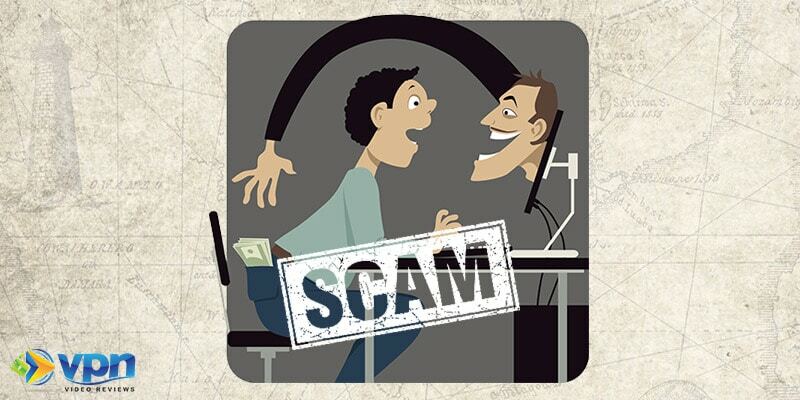 IP spoofing: The act of pretending to be another machine for the express purpose of gaining illegal access to a computer or network. Copyright, Trademark, and Patent Infringement: In other words, torrenting content you would have to pay for under normal circumstances. Even if your VPN provider allows peer-to-peer and torrent traffic, it does not mean they allow illegally downloading copyrighted content. You should also keep in mind that you are never safe torrenting copyrighted content with a VPN. Some VPNs even log your activity to crack down on illegal practices. This is true even if they say “We have a no-logging policy,” because, you know, VPN companies sometimes lie to you. But my VPN says they don’t log data…right?! While many VPN providers claim they do not log user data, you can never guarantee this is the case. Every VPN company claims to not log any data, but 95% of the time this isn’t true. Even if VPN providers truly do not log user activity, it is possible that the 3rd Party companies they rent servers from do, and they can use your data to land you in trouble with the police. Therefore you always run the risk of bringing the law down upon you when illegally downloading copyrighted material. Is it Illegal to Use a VPN in a Country That Bans VPNs? 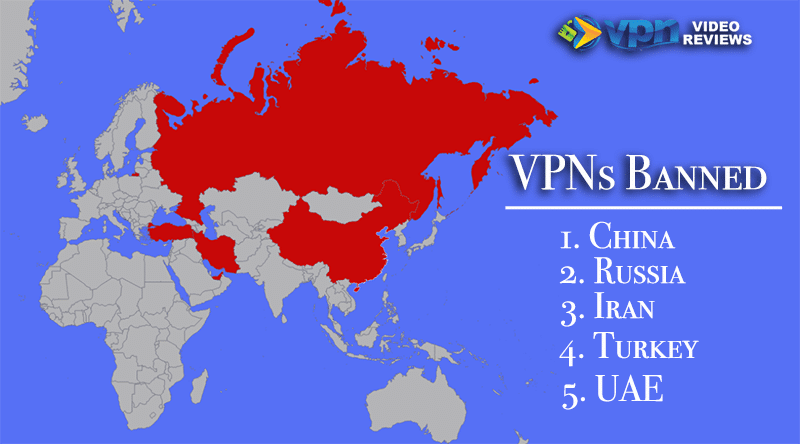 VPNs have been banned in Iran, Russia, China, Turkey and the United Arab Emirates. As a number of these countries (such as Russia) have only recently made VPNs illegal, it is still too early to gauge how strict these bans will be. Moreover, as many corporations and media networks rely on VPNs to do business in some of these countries, it is likely that VPNs will not be entirely eliminated. Foreigners are usually fine to use VPNs; it’s the local citizens who have to worry. However, that doesn’t mean that citizens and residents in these countries will not be affected. In China, for example, the Great Firewall uses deep packet inspection (DPI) to detect and block VPNs. I’ve used ExpressVPN for years in China despite it being “frowned upon,” and I’m not the only one. The vast majority of long-term expats in China use a VPN to access the internet. The only problem I’ve run into occurred in China’s far western province Xinjiang. Here, the government went so far as to block cell phone usage for residents caught using VPNs. Does this mean you should avoid using a VPN in countries where they are blocked? Generally speaking, campaigns to restrict VPNs in countries like China are geared towards local citizens and domestic VPN services. Therefore, foreigners can usually connect to offshore VPNs and only have to worry about the occasional connection disruption. For locals, on the other hand, using a VPN can be considered an anti-government act and has in the past resulted in a fine or, in the worst cases, jail time. Final Thoughts | Is a VPN Illegal? To sum up, it is not only legal but also highly recommended that you use a VPN to maintain Internet privacy and enhance security. Only by using your VPN for activities that are clearly illegal do you run the risk of getting in trouble with the law. As you’ll see in the infographic linked here, VPNs are an excellent way to maintain online security. Based on years of personal experience, I use and recommend ExpressVPN (get 3 months free using this link). It’s an excellent VPN option that is reliable even in those countries where VPN usage is often difficult. The only other thing to consider is whether you are using a VPN in a country that technically bans their use. If you are a foreigner in that country, you can generally use a VPN without any concerns. Local citizens, however, should think twice and review how local laws can affect them if caught using a VPN.